A wave of front yard plant thefts in Burlington over a 10-day span has harried homeowners concerned about the prospect of a serial green-thumbed thief — or thieves. Bandits dug up hostas, iris and other perennials by the roots, made off with hanging baskets and annuals, and snipped cut flowers before their owners could put them in vases. One resident lost apple trees planted in memory of a loved one. Front Porch Forum, the neighborhood email newsletter, reported 26 posts about purloined plants dating back to June 8. The incidents ranged from the South End to the North End, with a concentration on streets in and around the Old North End. In some cases, the plants were expensive showpieces that might have resale value, such as a weeping dwarf Japanese maple uprooted on South Willard Street. In other cases, the thief took inexpensive grocery store annuals or garden-hogging perennials the owners would have happily given away — had they been asked. City Councilor Sara Giannoni, a Ward 3 Progressive, urged victims to report their disappearing day lilies to the police, but only a few have. Police said Monday morning that four plant thefts have been reported. Suspects are sparse. "None," Deputy Police Chief Bruce Bovat said when asked. 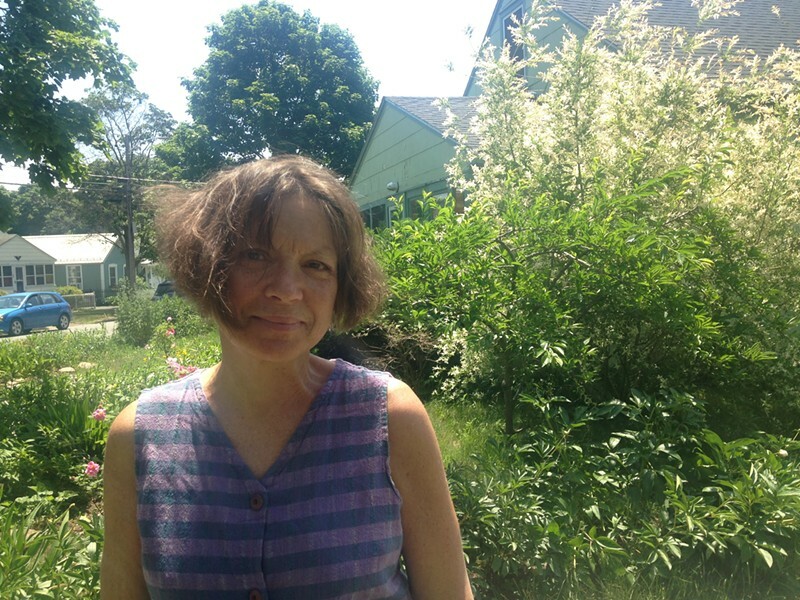 Anna Carey, an avid gardener who lives on Blodgett Street, made one of the police reports. She noticed immediately last Wednesday that something was amiss in her overflowing front yard garden after she returned from dinner with a friend. Some 40 or 50 peony flower heads had been snipped from the green stalks supporting them, wiping out a fragrant show of blooms that emerges only once a year. "I just felt so badly for those peonies to be kidnapped like that," said Carey, a doctor who starts her summer days with a 5:30 a.m. walk-and-weed garden session before she leaves for work. Even more odd, the plant rustler dug and carted off two lilac shrubs, roots and all. The lilac larceny left gaping holes in the ground where Carey had planted the shrubs next to the sidewalk a few years ago in her ongoing bid to shrink the amount of grass on her lot. The theft left Carey uneasy and dismayed. As she pointed on Monday afternoon to the patches of dry dirt where her lilacs used to be, she bemoaned the unusual nature of her dilemma. "I just wonder, are they going to take more?" she said. "The lilies are about to come out." Reaction to the garden bandit online has ranged from pity to outrage. Several city residents have offered to share their phlox and forget-me-nots with the thieves. Another offered to help residents set up inexpensive security cameras to catch the "plant jerk" in the act. Still others expressed numb shock, especially in response to an Oak Street resident who posted about the theft of dwarf apple trees that were memorials to a loved one. It's unclear how many bandits are behind the thefts — or if they're all connected. Some may have been crimes of opportunity or vandalism, while other plants may have been taken and resold or replanted in other yards. On Lakeview Terrace, several homes were hit. Some residents lost plantings worth hundreds of dollars while the thief lifted just a few, cherished specimens with sentimental value from others. Barbara Zucker considers herself lucky that just one plant disappeared from her yard, although it was a treasured, peach-colored iris. Monday afternoon, she showed the spot near her front steps that once belonged to the iris. Zucker has already filled in the empty place with a batch of foxgloves. There have been plant thefts on her street before, but this round was worse, Zucker said. It's more than a loss of blossoms and greenery because people consider their gardens creative endeavors, she said. "It's their art form, it's their pleasure," she said, adding that the thefts carry a symbolic weight. "It's a very destructive act." Meanwhile, back on Blodgett Street, Carey will continue to tend her sunflowers, delphiniums, lilies and plum trees. She'd like to know where her lilacs went, and who took them, but doubts the police will be able to make the case a priority. "I don't have a lot of faith that they'll find out who did this," Carey said. "It's so bizarre. I don't know where garden thieves live."